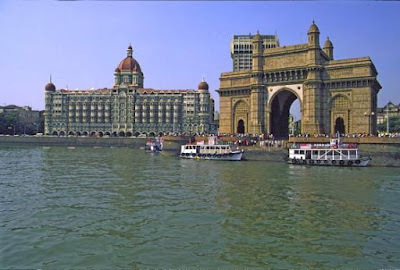 Mumbai is the world-famous city of India. Earlier, it was identified as Bombay the capital of Maharashtra, India and trade capital of India. This most popular metropolis of India is the 4th the most crowded city in the earth. The average population of Mumbai is around 20.5 million plus. The neighbor cities of this metro city are Thane and Navi Mumbai. This Indian tourist place lies on the western coast of India. Natural harbor is the best spot to watch in Mumbai. The city was awarded as Alpha world city in 2009. Mumbai is also recognized as entertainment and commercial capital of India, which means a tourist will have countless spots to visit. The big financial institutions have home in Mumbai like the RBI (Reserve Bank of India), BSE (Bombay Stock Exchange), NSEI (National Stock Exchange of India) and many more. The leading nuclear and scientific institutes such as BARC, IREL, NPCL, TIFR, AECI, AERB, and the DAE (Department of Atomic Energy) are also established in Mumbai. The metro city is housing bollywood and Marathi film centers as well. The list of sightseer destinations in Mumbai is bigger though the famous and well-known tourist spots are Aarey Milk Colony, vasai fort, Atria Millennium Mall, ASM (Asiatic Society of Mumbai), Banganga, Bhuleshwar, BNHM (Bombay Natural History Museum), BSE (Bombay Stock Exchange), University of Mumbai, CSMVS (Chhatrapati Shivaji Maharaj Vastu Sangrahalaya), Chaityabhoomi dadar, CST (Chhatrapati Shivaji Terminus), Chhota Kashmir, Chowpatty Beach, Crawford Market, Elephanta Caves, Essel World, Film City, Fashion Street, Flora Fountain or Hutatma Chowk, Gateway of India, Gurdwara Guru Singh Sabha, Hanging Gardens, Haji Ali Mosque, Jehangir Art Gallery, Jijamata Udyaan, Kamala Nehru Park, Mahalaxmi Racecourse, Juhu Beach, Kanheri Caves, MBGM (Mani Bhavan Gandhi Museum), Marine Drive or Queen’s Necklace, Nehru Planetarium, Powai Lake, Prithvi Theatre, Rajabai Tower, Sanjay Gandhi National Park, Hotel Taj Mahal, VJBU (Veermata Jeejabai Bhosale Udyan), Taraporewala Aquarium, Vihar Lake, Mahalaxmi Temple, Siddhivinayak Temple, TAPT (Tardeo Agiary Parsi Temple), Shri Swaminarayan Temple, Global Pagoda, and Aksa Beach. Reaching Mumbai allow a tourist to enjoy the nearby amazing spots of tourism, which can become the memorable moment for tourists. These destinations are Matheran, Lonar, Panvel, Khandala, Lonavala, Alibag, Kolad, Murud Janjira, Nasik, Raigad, Harihareshwar, Ganapatipule, Ratnagiri, Kolhapur, Bijapur, Omkareshwar, Dandeli, Pune (Jambol Forest, Temples, Lakes and Forts), Daman and Diu (Cosmopolitan, Palaces, Lakes, Temples, Museums, Caves, Churches, Amusement Parks, Osho and Pubs), Mahabaleshwar, Shirdi, Panchgani, Aurangabad, Baroda, Ahmedabad, etc. 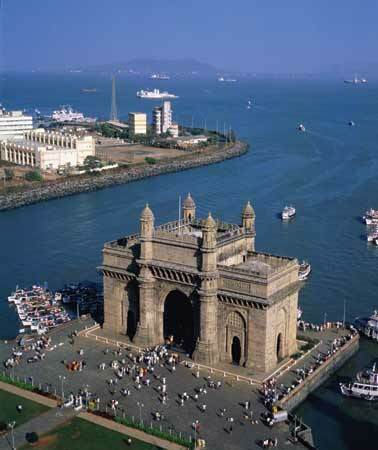 Gateway of India: the main recognized tombstone of Mumbai is the Gateway of India. The reason behind construction of GI was to honor the visit of Emperor George V and Sovereign Mary to the city. Haji Ali: Haji Ali is the tom b and mosque both. 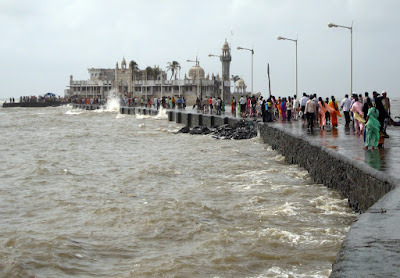 Constructed in 1431 by rich Muslim merchant Haji Ali is also the special spot for tourist. This mosque is positioned at the center to the sea. The view of sea from the Haji Ali is astonishing. Thousands of people come to this pilgrim place on Thursday and Friday. Kala Ghoda Art Precinct: Kala Ghoda (Black Horse) is positioned in the cultural center in Mumbai. The place is filled with artistic areas. Beaches (Juhu and Marine Drive Chowpatty Beaches): Mumbai city is positioned the sea end where tourist can enjoy the dissimilar beaches. Relaxing at Juhu beach or Marine Drive could be diverse experience for visitors. By Air: The domestic and international airport of Mumbai is world-famous as countless direct flights are reaching Mumbai throughout the world. CHIA (Chatrapati Shivaji International Airport) is linked with global big airports. By Train: CS (Chhatrapati Shivaji) Railway Station is the main railhead connects the broad-gauge line with all key cities of India. The rest big stations of Mumbai are Churchgate, Dadar and Kurla. By Bus: the government transport vehicles are the easiest way to travel to Mumbai. The Maharashtra state transport buses are available from dissimilar cities, though advance booking is preferred if visiting the Mumbai from long distance.